With Cloud Attract you engage potential buyers and sellers with beautiful landing pages that automatically respond with a home valuation, CMA, or listing alerts. Optimized landing pages for real estate. 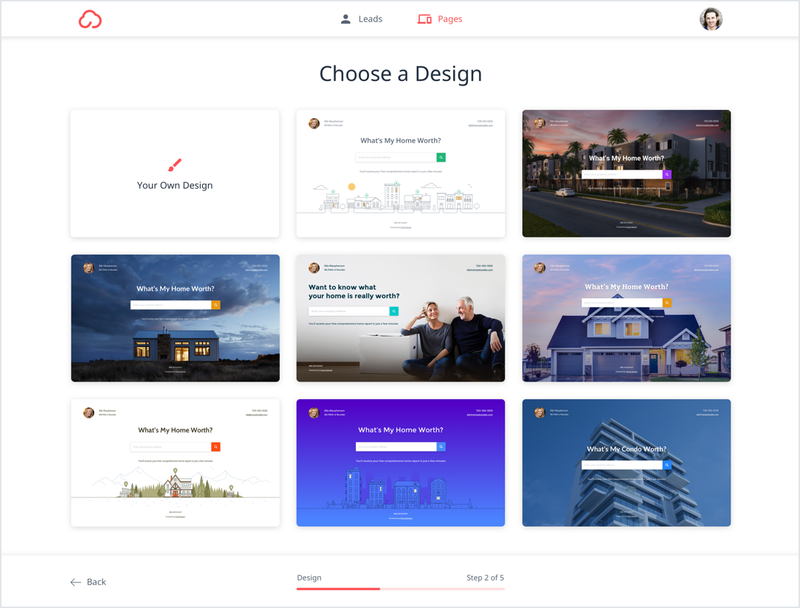 Choose from our ready-to-launch landing page templates or customize your own. The best leads come from your sphere of influence. According to a recent study, 86% of brokers said that organic leads from an agent’s sphere of influence have the best ROI compared to those generated by listing portals. In the same study brokers cited social media sites, like Facebook, as an exceptional way for agents to engage with their sphere. Cloud Attract is a simple and elegant way to spark potentials sellers and buyers. Attract seller and buyer leads. It’s proven to be one of the strongest calls to action in real estate marketing. Cloud Attract landing pages take the latest data from consumer research and translates it into images and copy that speak to today’s buyers and sellers. Give clients the immediacy they expect, as Cloud Attract instantly delivers either a Home Value Range or a detailed Cloud CMA report. In today’s home buying process you can expect most consumers will be using online resources in their search. With built-in integration with Cloud Streams, your clients can set up the fastest and most accurate listing alerts that come directly from the MLS. Make sure your client is the first to know when their dream home hits the market. Choose a design, pick your fields, and choose a deliverable. That’s it. You can even customize our gorgeous templates to fit your branding and market niches. With an instant Home Value Range, you've set the relationship off on the right tone. You've also given yourself enough flexibility to follow up about what makes their home unique and narrow down on that range with your professional opinion. Deliver a Cloud CMA report to a seller. Deliver a Cloud Streams invitation to a buyer. You're on a roll now, so don't forget to track your page with Google Analytics and place a call-to-action button on your Wordpress site. 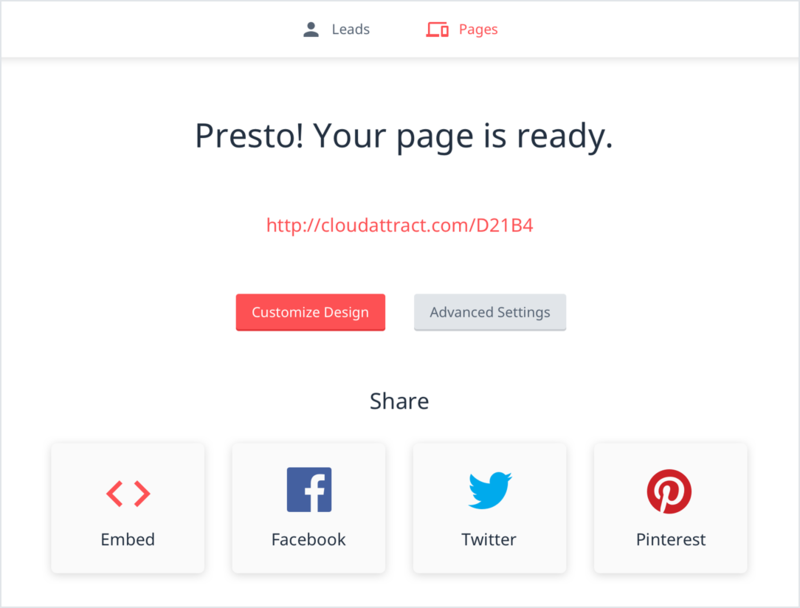 Those landing pages aren't going to post themselves, but we've made it as easy as possible with quick sharing buttons that make your pages immediately visible to your audience. 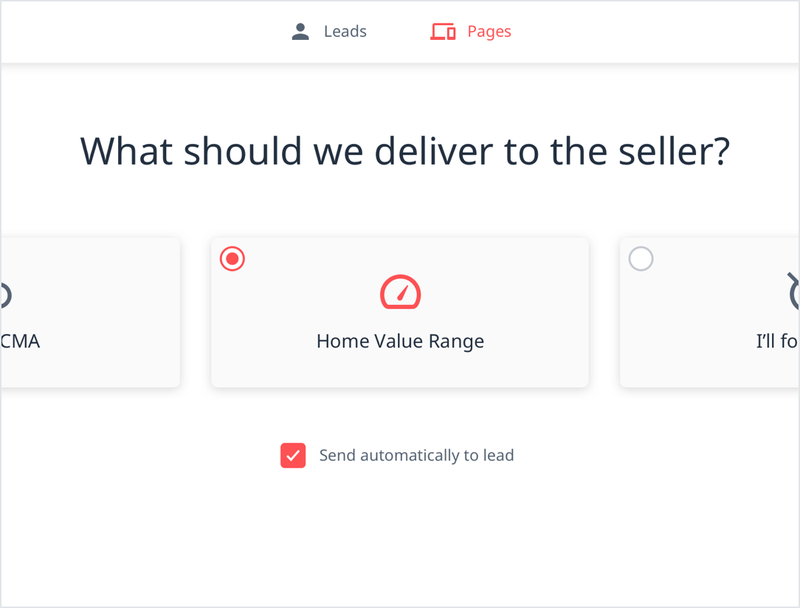 People won't always complete your landing page forms, but thanks to Partial Leads, you'll be able to keep the email addresses of buyer leads and the property addresses of seller leads. Cloud Attract is better together with the rest of the Cloud Agent Suite.